Has a vaquita been kept in captivity before? Why or why not? Vaquita have never been kept in captivity before. In fact, this is the first one that has ever been captured and observed alive. 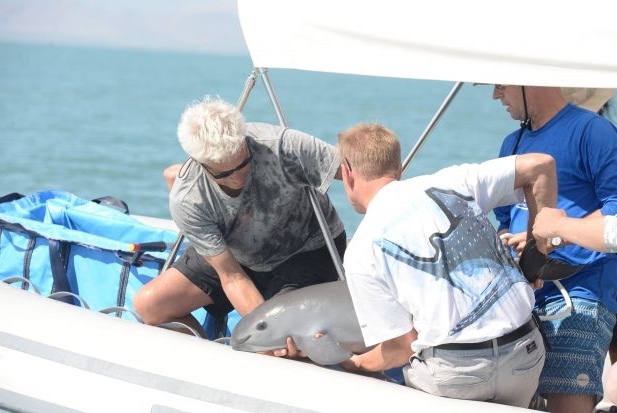 Did dolphins find the vaquita? I don’t know that dolphins were involved and a few people I’ve asked don’t really know, but this is the largest single investment ($100 M) that’s ever been made to try and capture them, and it includes a lot of people on the water, listening devices, and, yes, trained US Navy dolphins. Do you think they should’ve kept it or released it? The goal of this effort is to keep specimens in captivity given that conservation has utterly failed at maintaining the wild population — there are only about 30 left. However, since this was a calf and in good health, it probably was for the best that it was released to find its mom again. My guess is they are betting that the same method will result in more captures. What are the chances for the specie’s survival? As a species, it will depend on whether they can successfully get them to breed in captivity. Their chances are slim-to-none in the wild, both due to fisheries bycatch and habitat degradation (it’s unclear what role climate will also begin to play), but even if they are caught and successfully kept captive, obviously the key is to get them reproducing, otherwise we’d just be delaying the inevitable. 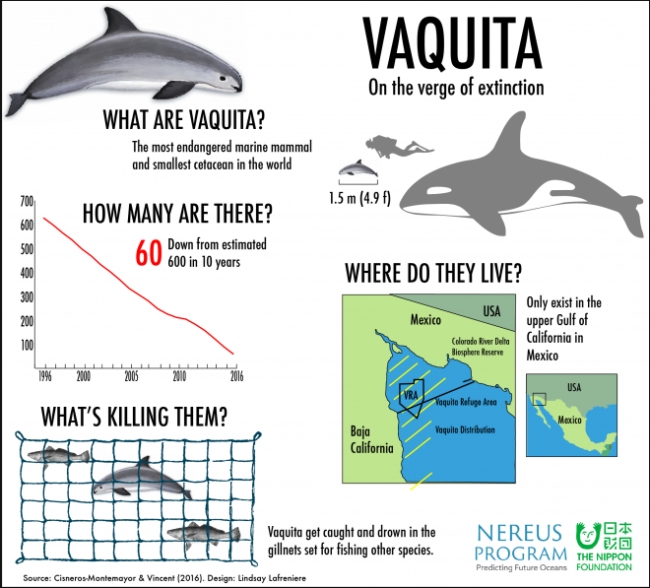 Read more about how the impending extinction of the vaquita is not just a fishing problem — it’s a social and ecological one too.